The wetland will sit upstream from the Devil’s Punchbowl Conservation Area on Battlefield Creek and provide much-needed relief from flooding and erosion. Following an extensive Environmental Assessment and countless mapping and hydrology exercises, the Hamilton Conservation Authority is ready to start work on designing a new wetland at the Saltfleet Conservation Area along Battlefield Creek. Design work for that wetland can now proceed thanks to a generous grant of $100,000 from the RBC Foundation. The wetland, planned for a stretch of Battlefield Creek near First Road in Stoney Creek recently acquired by the Hamilton Conservation Authority, is expected to provide a long list of community benefits. It is expected to provide much-needed relief from flooding and erosion downstream and dramatically boost the ecological productivity of the east end of the Hamilton watershed. With this donation, the RBC Foundation has reached a milestone in their support for the Hamilton Conservation Foundation. The donation will see the RBC Foundation recognized at the $250,000-499,999 – Benefactor of Conservation level on the Foundation’s donor wall and at our upcoming Appreciation Day. This entry was posted in Other on March 13, 2019 by tobytresidder. The Dofasco 2000 Trail boardwalk is getting some much-needed attention. The aging 1.7 km boardwalk, part of a larger 11.5 km multi-use trail, had increasing safety and accessibility concerns which threatened to limit community access to the Vinemount South Swamp. With a pledge of $200,000 over two years, ArcelorMittal Dofasco’s donation will ensure that the boardwalk is rebuilt and improved for a new generation of trail users. Work has already begun over the winter months to put this donation to work. The funding is especially timely given that the trail will link the Vinemount South Swamp with the Saltfleet Conservation Area. The new Conservation Area is part of a 10-year project which seeks to create the largest urban wetland in Canada and help reduce the impact of heavy rains on lower Stoney Creek. This entry was posted in Latest News, News on March 13, 2019 by tobytresidder. Hamilton Port Authority donation celebrates impact of Spencer Creek habitat improvements on broader Harbour ecosystem. Decades of urbanization have degraded the creek’s ecological function. A few small tweaks have made it a whole lot more hospitable to native fish species. A new set of habitat improvements to Lower Spencer Creek, undertaken in 2018, has already begun to improve the ecological productivity of the creek system. A donation from the Hamilton Port Authority will help educate visitors about the benefits of the little-known project. To anyone hiking along the Lower Spencer Creek Rail Trail near Cootes Drive, the improvements are hard to notice, let alone understand. The salmon, walleye and other species that use the creek, however, see things a little differently. With riffle pools, brush layering and boulder clusters, the creek now boasts a number of features these species need in order to forage, spawn and thrive. Thanks to the Hamilton Port Authority, two panels will be installed along the trail to explain just how these habitat improvements will impact Lower Spencer Creek, Cootes Paradise and the larger Hamilton Harbour ecosystem. Fundraising efforts for the $50,000 project are already half-way complete. Efforts to renovate the Merrick Cider Shack in the Dundas Valley Conservation Area are moving ahead with plans taking shape and fundraising getting underway. The Cider Shack, set in the middle of the former orchard turned meadow, is in the heart of a biodiversity hot spot. The open spaces surrounding the Shack will provide great bird watching for visitors as well as children taking part in Hamilton Conservation Authority’s Outdoor Environmental Education program. This entry was posted in Latest News, News on January 4, 2019 by tobytresidder. A new barn swallow habitat structure will help decrease nesting along the facades of nearby homes. Barn swallows have begun nesting in the archways of homes adjacent to the Meadowlands Conservation Area. The Conservation Area has great foraging lands and plenty of mud, an essential part of their nests. What the area lacks, however, is a suitable nesting structure. With a $5,000 fundraising goal, the project build a new structure in the Conservation Area so that Barn Swallows can continue to nest and avoid confrontations with area homeowners. And now there’s a way for you to help us plant more trees, while recognizing someone. The Hamilton Conservation Foundation’s Tribute Tree Program provides an opportunity to commemorate a special occasion or the life of a loved one. A donation of $125 to the Foundation’s Tribute Trees will be directed to our Planting Fund and will be used to plant native trees and shrubs where they’re needed most in the Hamilton Watershed. A charitable receipt will be provided for your contribution. In addition, the name of the individual or organization being honoured will be recognized on signage in the Beckett Forest in the Dundas Valley Conservation Area starting in summer 2019. An acknowledgement of your tribute will also be sent directly to the person or organization being recognized or to the family of the person being remembered. To find out more about the program and make a donation, please click here. As Hamilton’s population and housing needs grow, more and more pressure is placed on our watershed’s natural areas. The Friends of the Eramosa Karst (FOTEK) are making things easier on the natural world. Remembering Past-Chair Hugh Clark, a volunteer, donor and friend of conservation. Quiet, behind the scenes approach helped raise money for countless Conservation Foundation projects spanning four decades. Foundation’s Board of Directors from 1977 to 1996, serving as chair from 1988 to 1991. Happy Holidays from the Hamilton Conservation Foundation! As we reach the end of 2018, we at the Hamilton Conservation Foundation would like to thank you for your help in protecting the things that make the Hamilton watershed a special place. Thanks to your support, over 5,700 students explored the Dundas Valley Conservation Area through our Education program and new wetlands are being designed at the Saltfleet Conservation Area. We’re also rebuilding the Dofasco 2000 Trail boardwalk in Vinemount Swamp and expanding our trails in the recently-protected natural areas behind Westfield Heritage Village. None of this would not have been possible without your generosity. On behalf of all of the beautiful and diverse natural areas in the Hamilton watershed, thank you! This entry was posted in Latest News, News on December 14, 2018 by tobytresidder. Do you want to make a difference for the Hamilton watershed? Do your personal and professional experiences give you a skill set that could make a difference for our organization? The Hamilton Conservation Foundation is looking for people who care deeply about the natural world and are willing to commit their time, effort and skills to our volunteer Board of Directors. If you would like to meet with some of our staff and volunteers to discuss how you might be able to contribute, please send your resumé and a cover letter (outlining your interest in our organization), by email to foundation@conservationhamilton.ca. There is no deadline to apply. Recruitment will continue to be an ongoing process. This entry was posted in Latest News, News on December 12, 2018 by tobytresidder. Thanks to the incredible support of our donors, we’re kicking off the 2018-19 school year with one of the busiest fall sessions in recent memory. 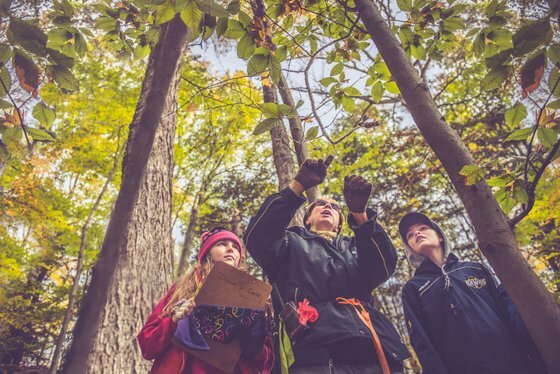 2018 marks the first time that the Foundation has committed to raising all of Hamilton Conservation Authority’s share of its education budget through donations. We’ve reached out to companies, Foundations and people like you to help us meet our increased commitment and we’ve been thrilled with the response. Thanks to your support, our education program is stronger than ever and bringing students on field trips from across Hamilton. Click here to see a list of supporters to this vital program, or to make your own donation! This entry was posted in Latest News, News on September 14, 2018 by tobytresidder. Do you wish you could see nature through the eyes of a child? 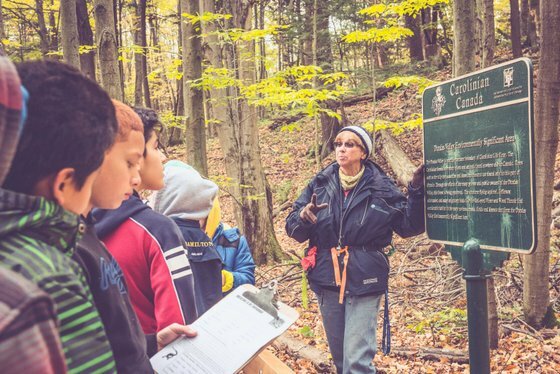 When was the last time a teacher took you and your friends on a hike through the Dundas Valley Conservation Area? If this sounds like something you’d like to experience, we’d love to have you at our Fall Donor Appreciation Hike. We’ll be recreating the outdoor classroom experience for our donors as our way of saying thank you for your incredible support. Staff from our Education program will be on-hand to point out all of the different critters, plants and tracks that fill our Conservation Area. To receive an invitation in your inbox, subscribe to our newsletter or make a donation. Our event will take place Saturday, October 27th. 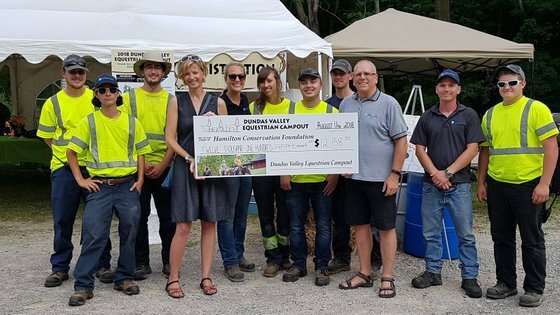 Back in August, the Dundas Valley CA Parking Lot was transformed into a stable as dozens of horses and equestrians got together to fundraise for the Dundas Valley CA trail system. The event featured riders from across the province and raised $12,138 for the Dundas Valley Trail Fund. As a result, Hamilton Conservation Authority will be able to increase the amount of maintenance done on the trail system this fall. Planned improvements to the Headwaters Trail will take place in October with added gravel, grade adjustment, culverts and other drainage features helping to increase the resilience of the trail. The Dundas Valley Trails Fund is able to support this work because of funds raised through the Equestrian Campout, Sulphur Springs Trail Run, Autumn Stroll event proceeds and donations from everyday people like you. A bus-subsidy grant from the Edith H Turner Foundation Fund at the Hamilton Community Foundation funded 16 trips with 679 students in 2015-16. In the 2016-17 school year that number rose to 67 trips with 2,814 students! with the programming, teachers started to notice what a positive impact it was having on their students. to access grant funding once again. of classes to 140 days of classes. This year, the Foundation has increased its fundraising goal to$125,000 to build on these great successes and ensure that this vital programming doesn’t suffer from increasing pressure on the HCA budget. An appeal to local businesses and community organizations is planned, with all donations of $1,000 or greater recognized on a banner at the Education Centre in the Dundas Valley Conservation Area. This entry was posted in Latest News, News on July 3, 2018 by tobytresidder. Make a continuing investment in conservation through estate planning and legacy giving to the Hamilton Conservation Foundation. A legacy gift is a planned future donation to a charity, given through a will or other form of designation. It is a decision that each person makes in their own financial planning process, taking into account their charitable wishes and values. Consider a legacy gift to the Hamilton Conservation Foundation when you are evaluating your personal, family, and financial needs as well as your long-term charitable giving. There are different options for legacy gifts which may provide significant tax benefits. Your accountant, lawyer, or financial planner can give you information and advice on how to best make these gifts work for you. If you have already created a legacy gift, please take a moment to let us know. Any information you provide will help us to respect your gift intention, honour your legacy, plan for the future confidently, and inspire others to follow your kind example. Your specific gift will always remain strictly confidential. A legacy gift is a lasting statement of your generosity and care, and an opportunity to say you believe conservation is important now and forever. The Foundation’s newly introduced Legacy Giving Circle will allow us to recognize your generosity and provide updates on how your support will make a positive difference in conservation. With a changing climate, growing population and the ever-growing threats posed by invasive species, the importance of protected areas, especially those which host native species, grows every day. Deputy Environmental Commisioner of Ontario is keen to point out the necessity of projects like the Cootes to Escarpment EcoPark System. “Wildlife corridors are going to be essential moving forward. As the climate warms, species will need to migrate to find suitable habitat. We can’t just send out a memo to all of the creatures in the forest!” she explains with a wry smile. ECO (Environmental Commissioner of Ontario) is a nonpartisan arm’s-length agency funded by the Province of Ontario to audit the Government’s actions from an environmental perspective. The organization also drives citizen engagement on environmental issues through Ontario’s Environmental Bill of Rights and a new toolkit designed to arm citizens with the tools they need to demand environmental accountability in their communities. She points to the progress made in closing coal-fired power plants, massive decreases in smog-days and Greenbelt protection as reasons to be optimistic. Keeping the crowd focused on what can be done to move forward, Schwartzel suggests the simplest of actions: plant a tree. “Preferably a native one!” she adds, noting the extraordinary prevalence of just four species, especially the Norway Maple, in Toronto’s urban tree canopy. A diverse canopy of native trees and, of course, protected spaces for them to thrive, will be essential to the sustainable communities of the future which will grapple with a rapidly changing climate. Schwartzel notes that with over 11,000 acres owned or managed by the Hamilton Conservation Authority (HCA), representing approximately 10% of the watershed, we are in a better position than most Ontario communities to adapt to a changing climate. The extraordinary popularity of waterfalls is impressive, but it continues to put an undue strain on some of our area’s rarest and most sensitive habitats. Lands in the Spencer Gorge feature some of the only stretches of the Niagara Escarpment which face southward, making them an ideal habitat for Species at Risk. The lands are also a popular hiking spot with local thrill-seekers, who continue to venture off-trails and encroach on the escarpment. While these adventures offer extraordinary views, they also harm local plant populations. In an aim to curb this damage, the Foundation is raising funds for native species plantings in strategic areas on and adjacent to Escarpment slopes. These plantings, along with additional fencing and signage are expected to discourage off-trail use and improve the prospects of the Species at Risk that call the area home. After staff changes, talks with neighbours and a number of proposed designs, a shade structure will finally be installed next to the Desjardins Canal this fall. While the original design called for a large fabric structure, concern over wildlife conflicts and ongoing maintenance has led to a more resilient and less obtrusive design option featuring trellises. The Canal Park project, including these latest improvements, has been funded through community donations to the EcoPark Campaign, which also helped to acquire 3 key properties in the Cootes to Escarpment EcoPark System. With the successful conclusion of an Environmental Assessment, plans to construct flood control structures can enter the design stage. The first structure, to be built along Upper Battlefield Creek, is expected to hold back up to 220,000 cubic metres of water (equivalent to 88 Olympic-sized swimming pools) and will feed a network of man-made wetlands which will provide a massive boost to local biodiversity along with mitigating flood risks downstream. The long-term vision for the Conservation Area will include a trail network and other passive recreation infrastructure connecting to the Dofasco 2000 Trail. Design work on these amenities, however, cannot begin until several years of flood-control projects are complete. Earlier this spring, the Committee on the Status of Endangered Wildlife in Canada (COSEWIC) designated the midland painted turtle (pictured above) as a species of Special Concern. That means that all of Ontario’s turtle species are now on the list. Local populations in Cootes Paradise and Spencer Creek have fared better in recent years thanks in part to the efforts of the Dundas Turtle Watch volunteer group and the Royal Botanical Gardens (RBG). 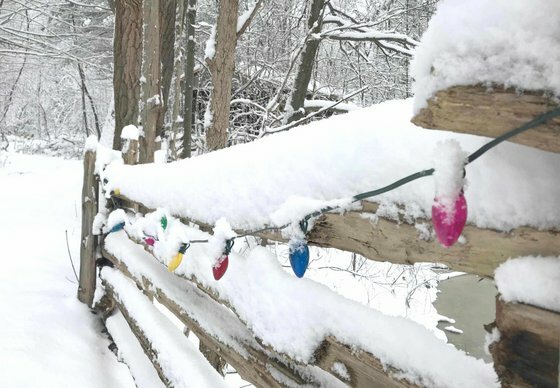 Following the success of RBG’s efforts to fence their property along the north-east side of Cootes Drive, Hamilton Conservation Authority (HCA) added a similar fence to HCA property on the south-west side of the road in 2016. While these fences have been successful in helping to reduce turtle fatalities on Cootes Drive, it has not eliminated them. In order to build on these successes, the Foundation is now raising $15,000 to complete the turtle fencing project and fence the remaining 250 metres of unprotected roadway. This will add to the existing 420 metre section and a previously planned 280 metre extension. This will stretch the fence the full 950 metre distance between the Spencer Creek bridge and a culvert passageway to the west of the fence. 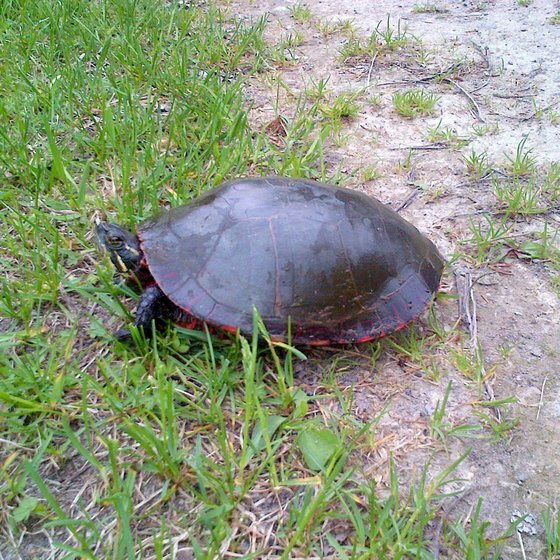 The vast majority of turtles found in the area are either snapping turtles or midland painted turtles. For these threatened species, added protection can’t come soon enough. Ready to help Hamilton’s turtles? Click here to donate now!